I'm happy that there is such a place like Fit For 2 which caters especially to pregnant women. I attended 2 classes and was satisfied with the experience. They even have a nice cafe where hubbies can wait for mommies. They also have a play corner where children happily play while waiting for mommy to finish her class. I also saw some mommy-baby classes together which will surely be fun, but I will get to try that probably next year! The other soon to be mommies I met during the classes I attended were mostly on their 28 to 36 weeks and I'm amazed they can still do all the routines. I hope I can also when I get that big! 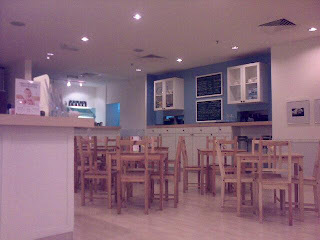 Overall I'm happy to have found this place which is located at Bangsar Village 2. Nice place to hang out also in case you are at the mall, because they make their home made food stuff which looked yummy but I haven't had time to try yet. I saw the numerous press articles that were written about their cafe. Hi. Nice blog. Also happy to read that you seem to be happy being pregnant in KL. I am nearly 6 month pregnant and have been in KL 2 months and I find it hard to be pregnant in KL because all pregnant related activities (yoga, ante natal classes, pilates, mummies meeting etc) take place outside KL, like Bangsar, Mont Kiara, Damansara and so on ... Are there no expat or pregnant activities taking place within KL? Do you live outside KL as well? Thanks for visiting my blog! Yes, I am very happy being preggy in KL... everything is convenient. I am sure there are groups inside KL too but you just need to look for them. Actually, I live in KL -- and Bangsar /Damansara/Mont Kiara is also part of KL. Maybe what you mean is you live near KLCC (the city centre) and you are looking for something nearby KLCC / Pavilion bec you live around there? I work in KLCC ... your place is nearby there? Maybe one of these days we can have lunch together. 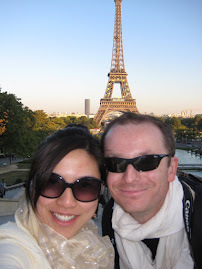 Or maybe we schedule a couple meet-up since both our hubbies are French! Should i find out more pregnant forums & ways to meet preggy moms in KL area i will surely let you know. Hey why not at least try a free "try out" class at this Fit For 2 Yoga at Bangsar Village 2? it really is a great experience -- both meeting people as well as feeling great about yourself. I feel content & happy every time i finish a class! I will surely encourage all mom-to-be to try this at least once! Could you kindly inform me the contact number for yoga at bangsar village?